Medical Physiology is one-semester, 4 credit-hour lecture and lab course. In this course, learners will be introduced to core concepts that shape our knowledge of the workings of the human body. Cell-cell communication and membrane dynamics will first be studied as central themes that govern coordination in individual cells and tissues, and within and between organ systems. For more detailed information about this Physiology course, please request the PHSL 1010 syllabus. This course is delivered using online streaming audio of lectures and PowerPoint slides along with hands-on labs, readings, and interactive discussion board activities. Labs for this course are done hands-on with a kit that is mailed to the student’s home. The lab kit contains experiments and lab-grade materials that mirror the traditional campus laboratory experience. 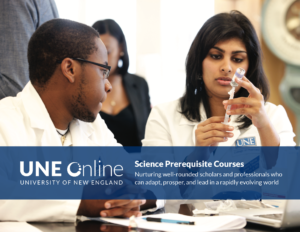 These engaging lab assignments will guide you every step of the way, helping you to understand the course materials and to learn how it applies to your everyday life. There are 3 required materials for this course. Hands-On Learning lab kit (instructions listed below). Note: You must register for Modified Mastering through Blackboard. We recommend that you always access your Modified Mastering course through Blackboard after that. Sign in to Blackboard and enter your Blackboard course. Select any Pearson link in the Content area under “Pearson’s MyLab and A&P Mastering”. Enter your Pearson account username and password. If you don’t have a Pearson account, select Create and follow the instructions. Buy access using a credit card or PayPal account. *Can purchase a used or rented version (from any website). For the best experience, check the system requirements from the publisher. Please note, some activities in this course use Flash, and are therefore not screen-reader accessible, and may not work on a mobile device. If the browser you’re using no longer supports Flash, try a different browser or download the Flash plug-in for this content. The kits MUST BE ORDERED IMMEDIATELY UPON ENROLLMENT in order to ensure materials are on hand for the start of the course. Review the HOL Return and Refund Policy. Note: Kits can take 5–7 business days to arrive. Once you receive the kit, please use these directions for registration. One semester of college-level biology, preferably college-level anatomy or physiology, must be completed before registering for this course. *This prior coursework must have been completed successfully within the past 7 years. All exams are taken online. Major exams are required to be proctored. For instructions on how to take your exams online, visit Online Learning’s ProctorU site.